Office blogger Charlie gives you the low down on catering for vegan children. Getting all the details right for a kids’ party can be challenging business. 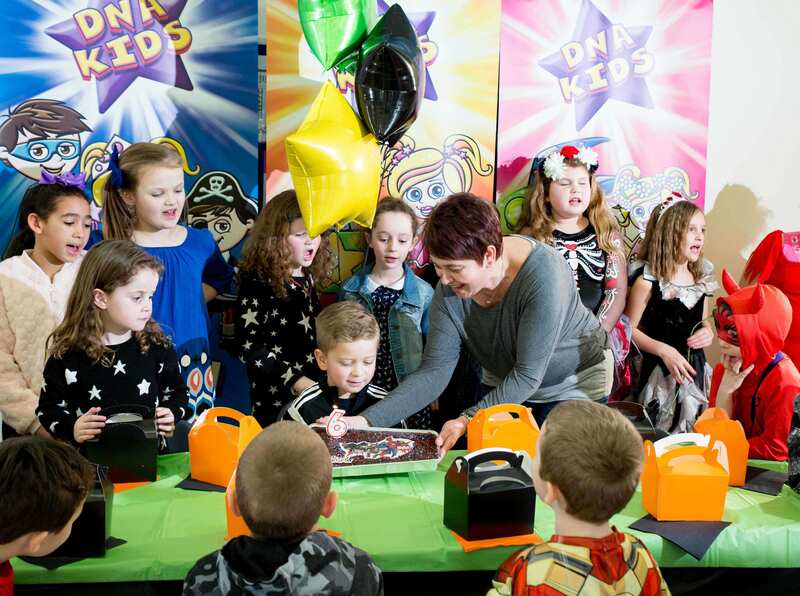 At DNA Kids we’re always looking to get the most out of specialist parties, and work with parents to ensure that all requests are taken into considerations. One of the most difficult areas that parents have to deal with is catering, especially where dietary requirements are a specific concern. Our last post in the series looked at how you can cater for vegetarian children at your party to ensure no child is left out when it comes to party food. But what about kids with a vegan diet? 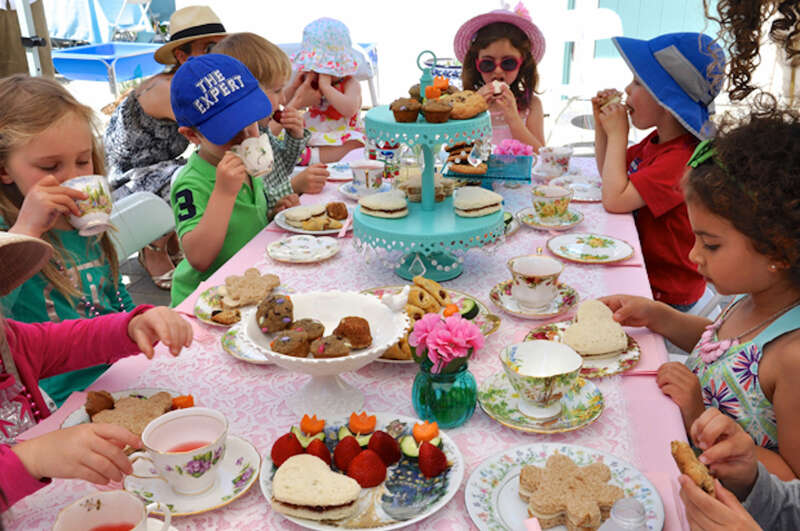 We thought it’d be a good idea to run through some of the top challenges and solutions for catering for vegan children at a kids party, from understanding general nutrition to knowing what food to serve. In terms of putting together a vegan meal for children, it’s always worth checking with parents to see what their child can or can’t eat. Vegan diets tend to revolve around a fairly strict approach to nutrition, and can reflect a diet that’s been worked on over a long time at home. Feeding vegan children consequently means knowing what food is going to be nutritious enough to serve at a party, without having to be too healthy – calorie contents and allergies should also be taken into consideration. When planning for vegan children, make sure you’re familiar with the staples of a vegan diet; this should include no foods that are made using animal products, which means no meat, fish and animal by products. Vegan diets also mean that you cannot serve dairy products, as well as, in some cases, food taken from insects such as honey. Eggs and types of quorn that contain eggs also tend to be a problem. You’ll need to inspect labels and look up certain foods to double check they’re right for a party. Some of the more popular options you can focus on when putting together vegan food can include cereals and grains, as well as rice, beans and lentils, peas, nuts and seeds. For snacks, sesame seeds can be a good idea, while plenty of vegetables and fruits can help to add a wider range of tastes and flavours to servings. There are often vegan alternatives to meat products, many of which include soya, as well as special flavourings and ingredients that do not use dairy and egg. For kids’ parties, you’ll have to make sure that you can easily separate out vegan food from other plates and dishes, and that you clearly label which food is which. You can also opt to use vegan substitutes instead of meat for all sandwiches – Torfukey slices could be a good idea, for example, while vegan sausage rolls and burgers can also work well. Biscuits and any snacks that mainly involve fruit and vegetable can similarly make things much more straightforward to manage. 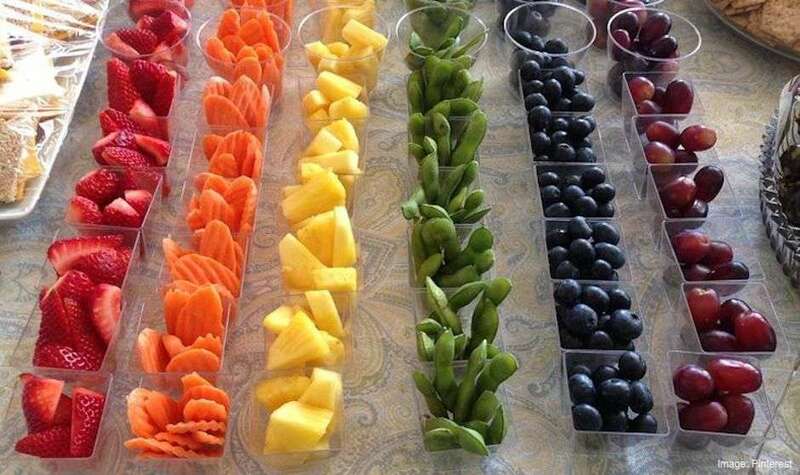 In terms of basic snacks, fruit dips and vegetable trays, as well as hummus, can be a good solution to building up a table of food. Moreover, a range of nuts and pretzels, as well as special bread that doesn’t use milk, can work as snack options. If putting together larger bowls and trays of food, consider catering for vegans with whole wheat pasta salad, as well as with vegan tacos and mixed salads with fruits. There are many recipe ideas available online to give you inspiration if you’re struggling. Snacks and other small dishes might, then, including sweet potato quesadillas, as well as simple food like popcorn that can be quickly made in the microwave before guests arrive. Keeping things simple tends to be best with vegan food, although you can find a lot of specialist items by taking the time to browse wholefood stores and vegan sections at supermarkets – some more unusual items might include edamame beans and vegan chips. Vegan sweets and snacks can similarly be found without much effort. Even better, vegan sweets can be bought in bulk and easily stored if you need to re-use them for other parties. The most important thing to focus on when choosing sweets is their gelatine content – any sweets that contain gelatine won’t be suitable, so check labels before you buy. Fortunately, there are many alternatives that are suitable for both vegans and particular allergies, which includes gluten-free sweets. Jelly beans tend to be a particularly good idea if you’re also looking for sweets for party bags. For the cake, you should look around for recipes that do not use milk or eggs, which shouldn’t necessarily limit you in terms of what you can use. Some popular vegan cakes can include banana and blueberry cakes and moist orange cakes. You might also want to look at mint chocolate cakes, and any cakes that do not use eggs. Fudge brownie cakes, and vegan cupcakes and muffins can typically be made using soy milk as an alternative to cows’ milk. One of the worries you might have when catering for a vegan kids’ party is that the food will be specialist, and therefore expensive. However, this shouldn’t be the case, and especially when you stick to vegan basics such as nuts and fruits and vegetables as snacks. You can also find most of the staples of vegan food at local supermarkets, rather than having to go through a wholefoods shop or through online ordering. Vegan food can consequently be budget-friendly. You can also find practical advice on catering for a vegan kids’ party by speaking to other parents about what kinds of food they tend to serve at home. Keeping food consistent at a party can be made easier if you know what children are already used to, even though you might want to put out less nutritious food like vegan sausage rolls and snacks. Vegan pizzas and vegan hot dogs can be a suitable solution to keeping children excited about the food at a party. Getting a vegan party right means taking the time to plan out and check your overall food spending before you go ahead with a party. Do not worry too much about covering every base involved with vegan food, but do focus on low cost staples like fruits, nuts, and vegetables. 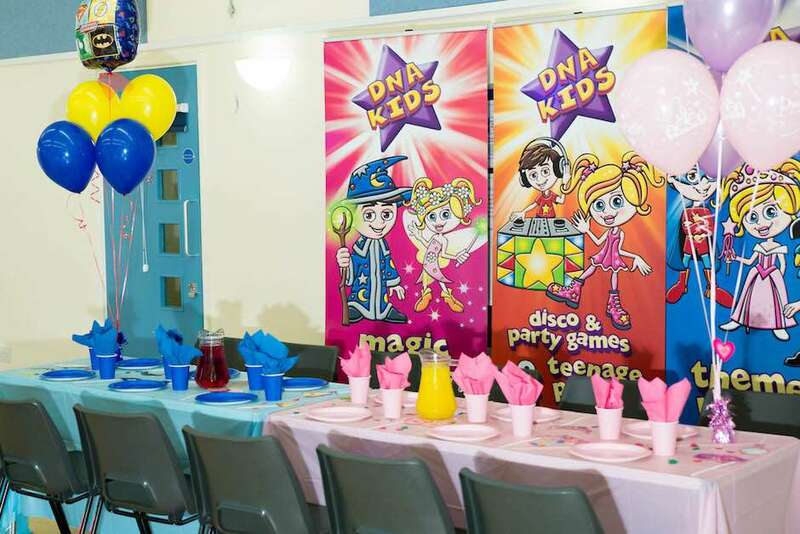 At DNA Kids, we’re always looking for ways to make our parties suitable for different tastes, and pride ourselves on going the extra mile, which works out to more special parties.